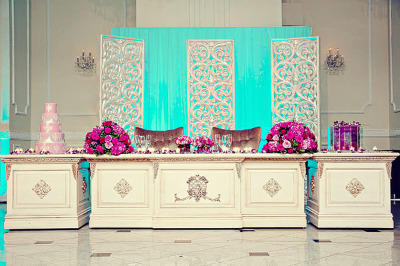 The Sweetheart Table is a lovely new phenomenon at weddings wherein the newly married couple is seated at it—by themselves. And although this is a controversial idea, I think it’s wonderful. The concept of a bride and groom having a few moments of peace amidst the hectic wedding celebration is admirable. And it’s not like they’re actually alone anyway; they’re in a room full of people, and those said people may be simply a few feet away. 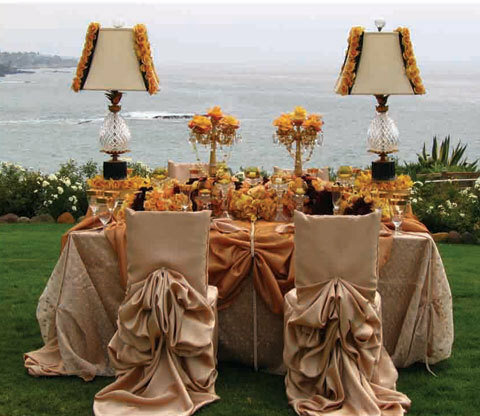 Furthermore, any common sensical bride and groom would create the time to make their rounds to everyone in one way or another. Everyone is loved, everyone is paid attention, and all parties are happy. Besides, isn’t all about what the bride and groom want anyway? What do you all think? 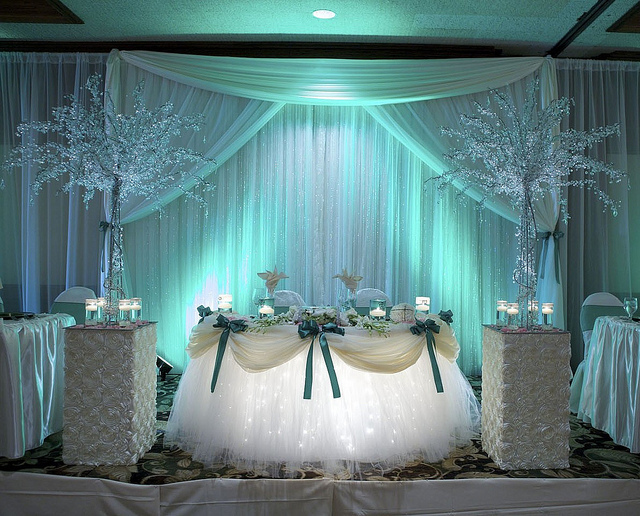 Would you have a Sweetheart Table at your wedding? Why or why not? BRIDES has a forum on the subject. Feel free to interact there as well as here.